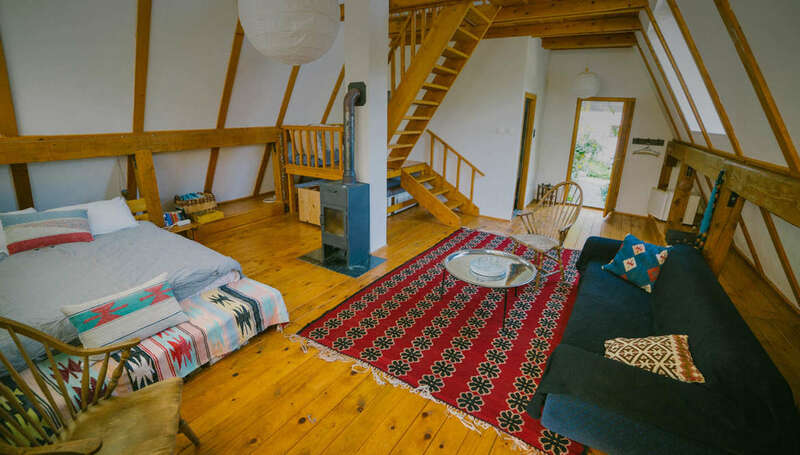 Lodge “Pocitelj” (2-4 GUESTS) is a cozy high bungalow with a height of 7 meters and a loft. Triangular, large windows create a special atmosphere in this apartment. 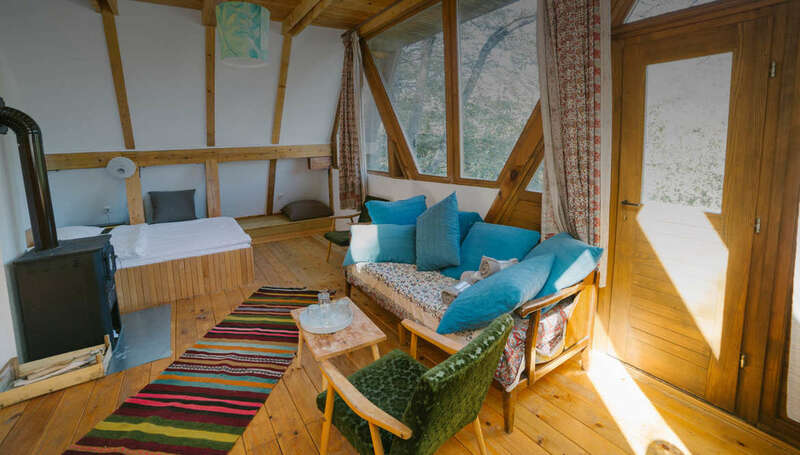 Lodge Trebinje (2-6 GUESTS) – Similar to Lodge Stolac. This is quite a large space of approximately 80m2 with a panel separating the sitting and sleeping areas. 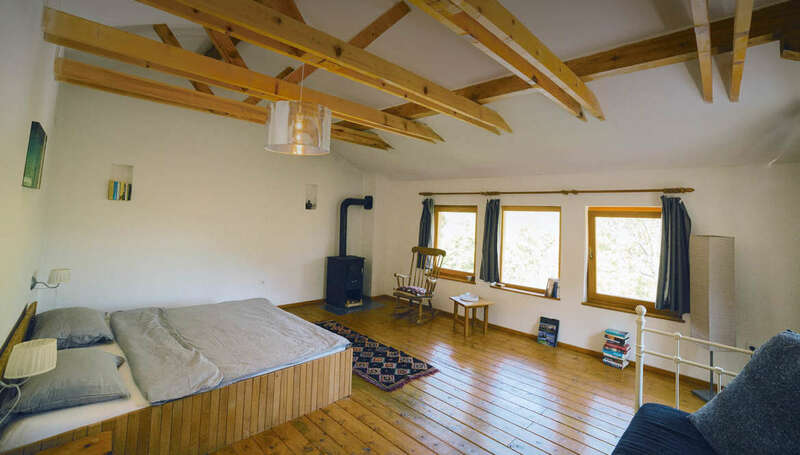 Lodge “Stolac” (2-6 GUESTS) – The same building system as Lodge Pocitelj. A beautiful, large bedroom/living area. With a large staircase connecting the ground floor to the mezzanine. 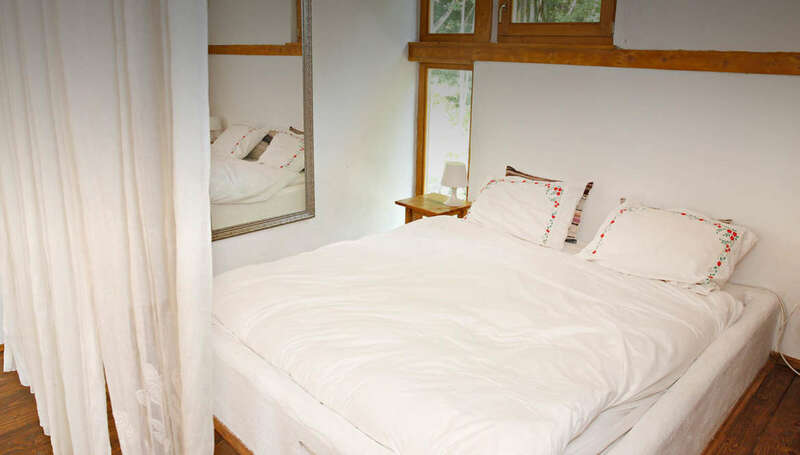 Apartment Blagaj (2-4 GUESTS) The smallest apartment with two bedrooms and a shared bathroom. One room has a double bed, the other room has two single beds. 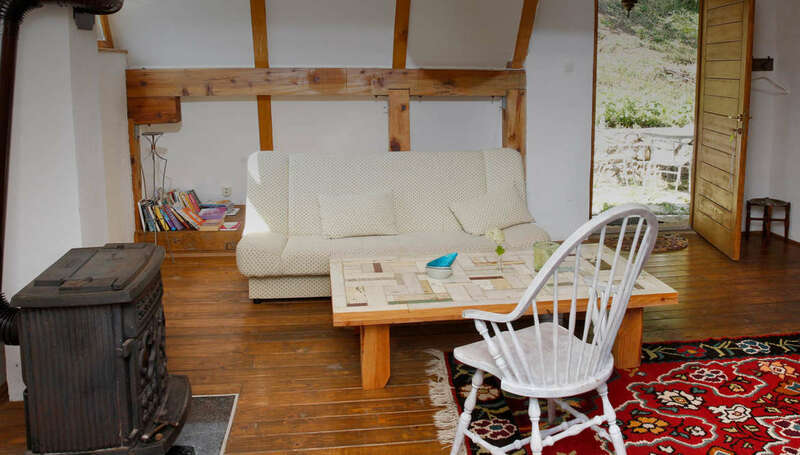 Suitable for two to four people. 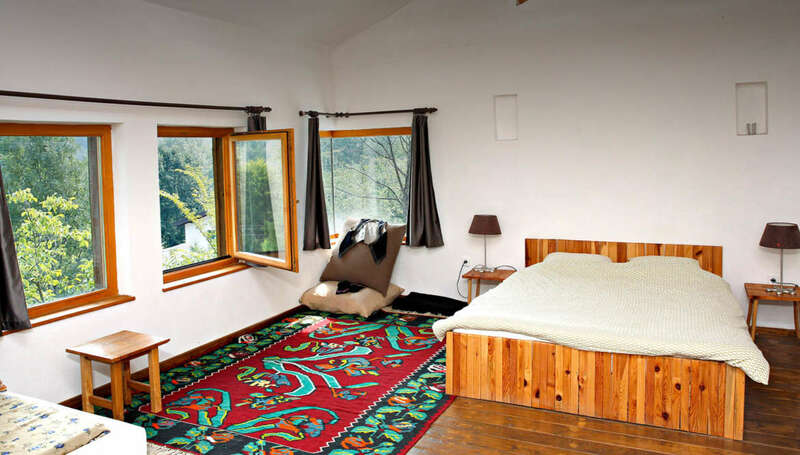 Apartment Jablanica (2 GUESTS) – The smallest, but coziest apartment. In addition to the two single beds in the room this apartment has a kitchenette and of course a bathroom. Suitable for two people. 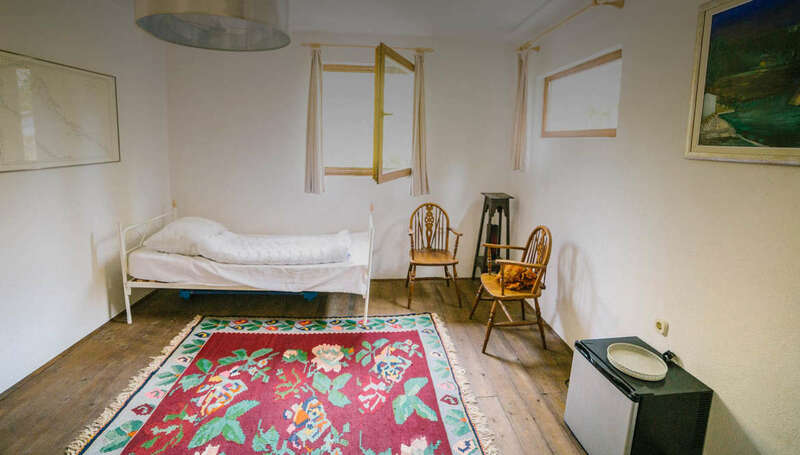 Apartment Mostar (2-4 GUESTS) – The smallest, but coziest apartment. In addition to the two single beds in the room this apartment has a kitchenette and of course a bathroom. Suitable for two people.